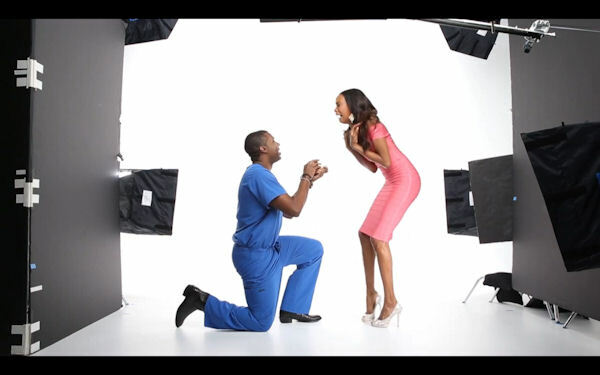 It’s the month of love and this adorable surprise wedding proposal got us all tearing up… It is so cute that we’ve decided to share it with you! In this sweet video, Quiana Grant (a supermodel) thought it was a regular work day when she appeared on a set for a Neiman Marcus editorial. But she would soon find out that it was all an set up, put together by her boyfriend, Dr. James Pinckney II, so that he could propose to her. Quiana with happy tears accepted!! Oh la la!! Just watch the video below! They are so adorable! Congratulations to Quiana Grant and Dr. James Pinckney II.